Only PIA Commercial works closely in association with TOPRA to arrange Insurance policies specifically for it’s individual and corporate members. Providing protection for professionals working in the Life Science industry. Established since 1992, PIA Commercial has consistently built a significant reputation as a commercial insurance provider by working closely with our clients to provide a wide range of specially tailored insurance cover for individuals and businesses. Most insurance brokers arrange all types of cover for all types of businesses. 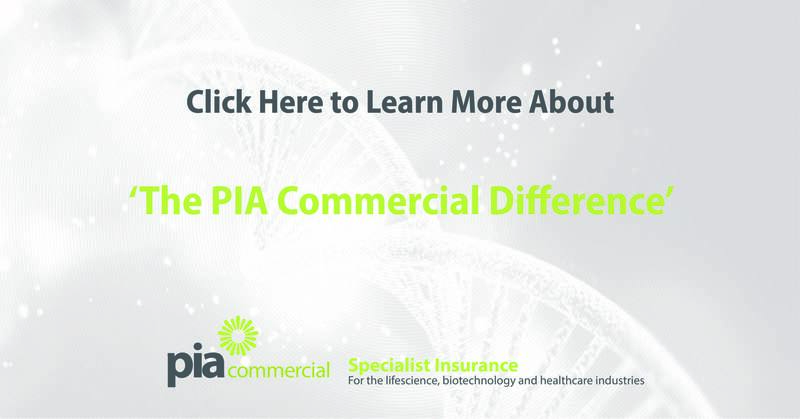 Because PIA only arrange specialist insurance for companies involved in the healthcare, life sciences and biotechnology industries we have forged a significant reputation by working in partnership with our clients to provide very competitive premiums. We have a wealth of healthcare industry knowledge through our experienced members of staff, enabling us to understand your specific needs and in turn quickly obtain the necessary cover required. Our service is individual, personal and tailored to your needs. Rather than being tied to one insurer we have, over time, built unique relationships with a wide range of specialist insurers allowing us to search the market in order to obtain the best cover at a competitive price. From discussing your requirements with a number of quality insurers, arranging your cover, to policy wordings and claims handling. We’re Exhibiting at the Med-Tech Innovation Expo 2019! PIA Ensures: Brexit, Life Science and Healthcare. What’s Next? Having been established since 1992, The Pharmacy Insurance Agency has grown to enjoy a significant reputation by working closely with our clients to provide a wide range of specialist insurance products for individuals and businesses. PIA Commercial is a trading name of the Pharmacy Insurance Agency Limited and is registered in England and Wales under company number 2591975. We are authorised and regulated by the Financial Conduct Authority.